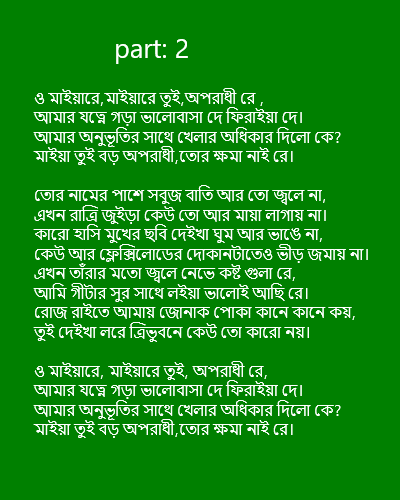 Oporadhi lyrics, oporadhi song lyrics is here. 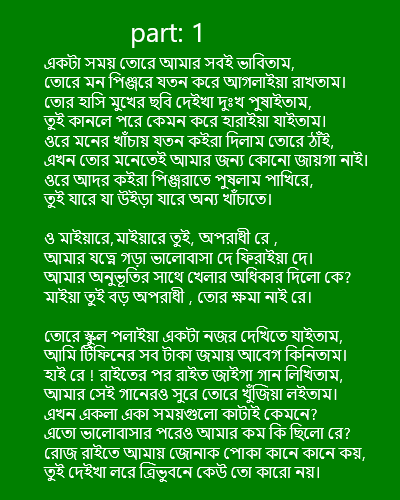 This is the most common song in bangladesh. Now a days, opradhi is most popular in young generations in bangladesh. So here i am writing the oporadhi lyrics, that means oporadhi song lyrics. Amaro porano jaha chay lyrics. এখন একলা একা সময়গুলো কাটাই কেমনে? এতো ভালোবাসার পরেও আমার কম কি ছিলো রে?